Alex Martínez watched the tree on the edge of his property as he called, “perrrrro, perrrro, perrrro.” Minutes later, a scarlet macaw appeared. The vibrant red, blue and yellow bird appeared healthy, with a limp wing the only remaining sign that it had been struck by a slingshot and captured to be sold as a pet. A scarlet macaw sits on a ledge at Tierra Hermosa Wildlife Reserve and Rescue Center. The bird was confiscated after being shot with a slingshot. “This is something very satisfying,” said Martínez, cofounder of Tierra Hermosa Wildlife Reserve and Rescue Center located in Sarapiquí, Costa Rica. 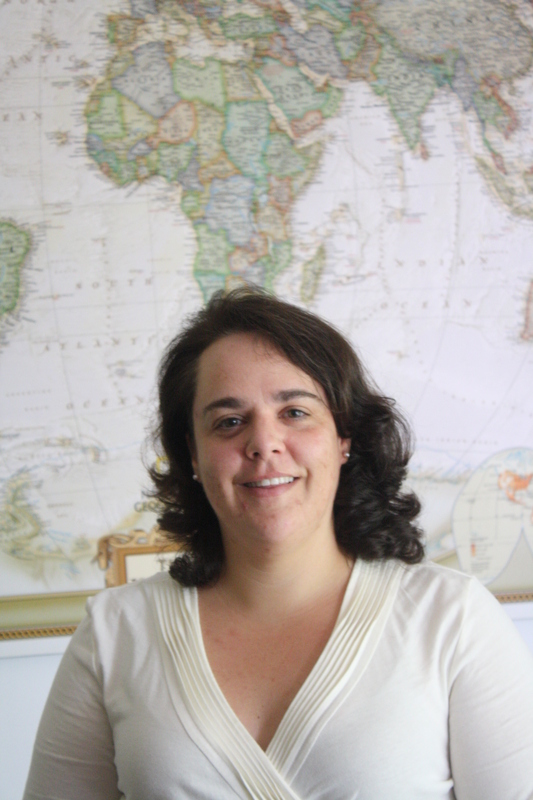 Martínez founded the 4.3-hectare center four years ago with a partner from Wisconsin to care for injured wildlife. Animals are brought to him after being confiscated from people and homes in the area. 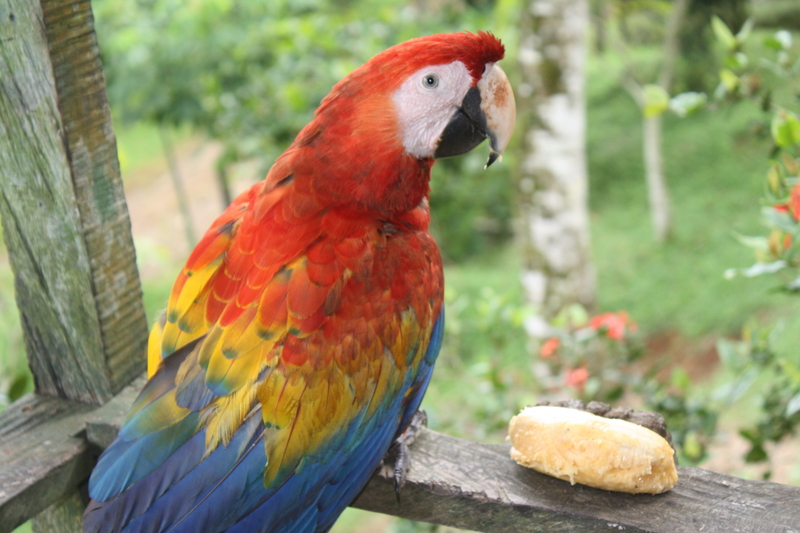 Keeping wildlife as house pets is commonplace for many Costa Rican families. Once animals are removed from their natural habitat, it can be difficult to find organizations with the knowledge to rehabilitate and release them. Nearly 25 percent of Costa Rican homes had wildlife as pets in 2001, according to a survey by the Universidad Nacional in Costa Rica. Nearly 65 percent of adults responded they had kept a wild animal as a pet at some point in their lives, with birds and turtles being the most common animals. Wildlife trafficking is less frequent in Costa Rica than in other Latin American countries, according to Cynthia Dent, the regional director in Latin America for Humane Society International, located in San José. However, while only 220 animals were confiscated in 2008, rescue centers receive 1,400 animals per year, according to a 2009 study by the organization. 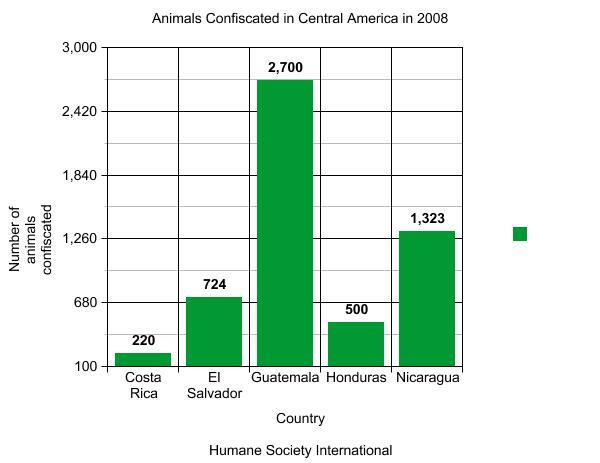 Keeping wild animals as pets is illegal under Costa Rican law because their removal depletes species numbers. Those found in homes can be confiscated by the Ministry of the Environment, Energy and Telecommunications and sent to rescue centers or zoos for rehabilitation or permanent residence. Costa Rica has a large number of rescue centers in comparison to other Central American countries, Dent said. Many are started by individuals or expatriates who may not have the knowledge or resources to effectively care for wild animals. Cynthia Dent works for Humane Society International, located in San José. The organization works to prevent poaching. Martínez founded Tierra Hermosa to address this need he saw in his community. Too many people have wild animals as pets without enough places to take them, he said. 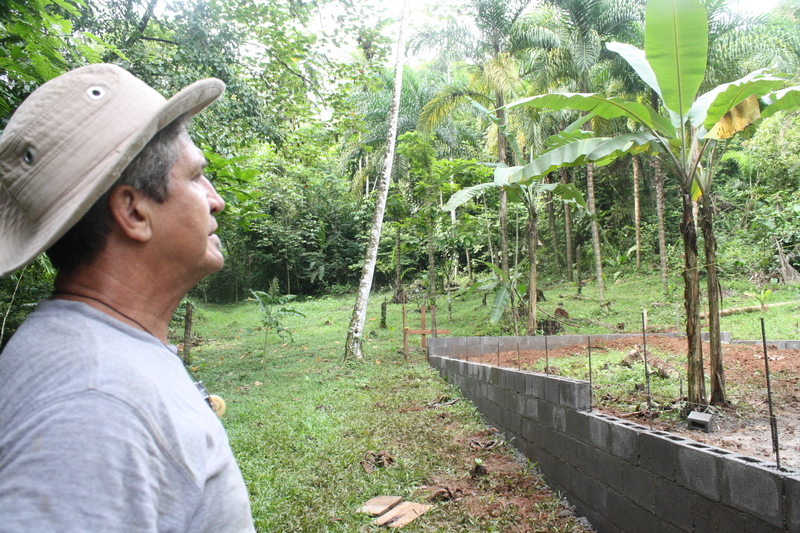 Martínez, a former hunter, committed himself to protecting wildlife when he settled permanently in Sarapiquí in 1985. He uses lessons learned as a volunteer for the Red Cross to treat animals that come to the center. Baby birds are covered with wet wash clothes by traffickers to muffle their squawks. Baby monkeys are stolen after their mothers are shot, and family birds are fed diets of coffee and gallo pinto for years. Animals that have lived with humans are especially difficult to rehabilitate, according to Dent. They can be mistreated in their homes and have an unnatural bond with humans. “The most important part of the process is making animals afraid of humans, just to have the natural mistrust that animals come with,” she said. Martínez addresses these issues with his menagerie of animals. He has kept up to10 at a time, which nears the maximum capacity for his facilities. 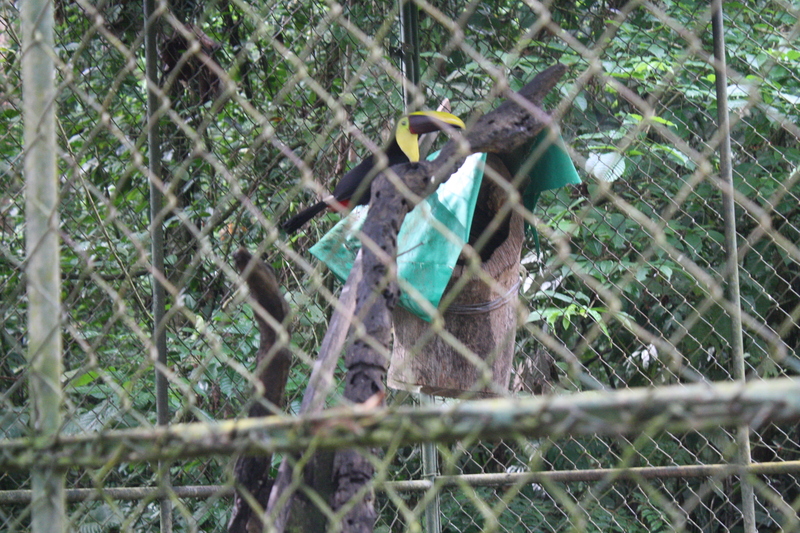 A confiscated toucan sits in a cage at the sanctuary. Birds who are kept in captivity often have trouble flying, Martínez said. There is a baby capuchin monkey who craves human companionship. He is harassed through his cage by a dominant male monkey in the area, Martínez said. 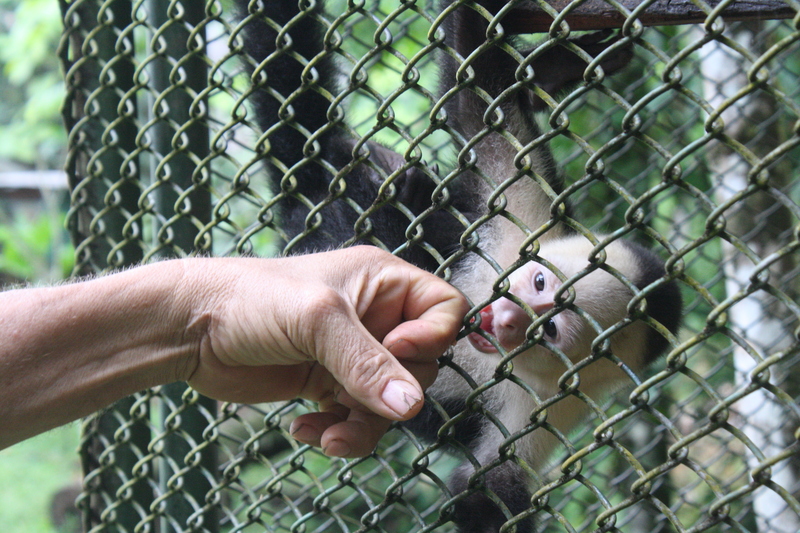 Alex Martínez tends to a baby capuchin monkey at his center. The monkey was kept as a pet and does not have the skills to be released into the wild, he said. Many animals are turned in directly to the center by people who no longer want their pets. Baby animals that were once cuddly can grow up to bite children and threaten owners. The Humane Society is working with the government to convey these realities before people capture wild animals. They have released radio and billboard campaigns and work with local schoolchildren. In the meantime, organizations like Tierra Hermosa are working with limited resources to give captured animals a second chance at a natural life. Martínez relies on donations from individuals and his own money to expand his facilities. Alex Martínez looks at the flying cage under construction. The center is working with limited funds to expand, he said. He is building a flying cage to allow the rehabilitation of more birds and is constructing guest quarters to raise revenue. Visitors can enjoy watching animals come back to life and perhaps spot a pair of Great Green Macaws in the distance, Martínez said.